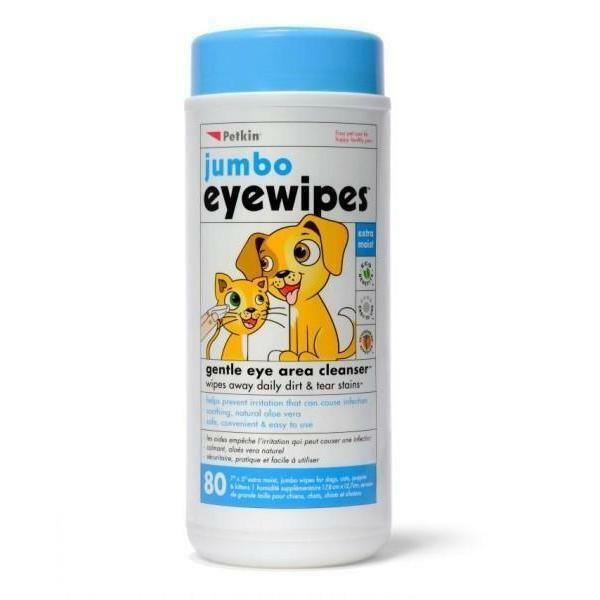 Petkin Wipes Eye pkt 80's natural formula gently removes the dirt, discharge and tear stains found around the eyes. It is safe for puppies and kittens too. The natural formula gently removes the dirt, discharge and tear stains found around the eyes. Contains Aloe Vera gel, Calendula, Chamomile, Comfrey and Hydrolyzed Oats. Natural and non-toxic. Safe for puppies and kittens.